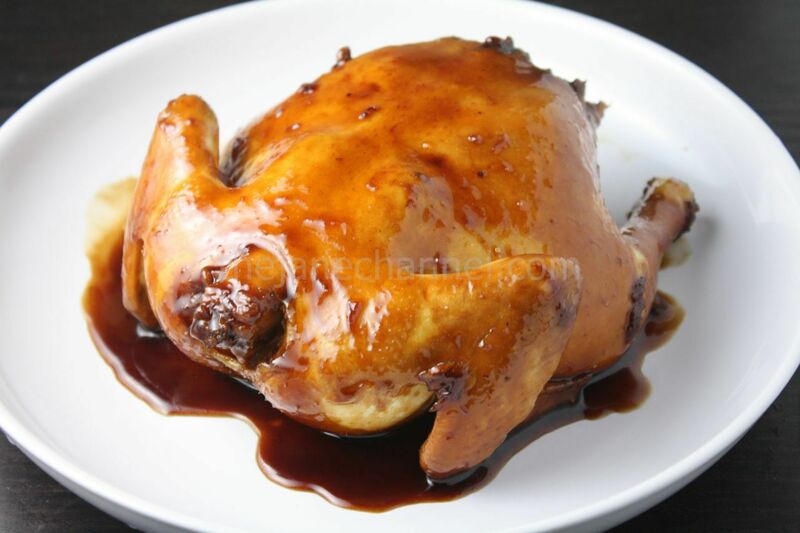 Soy sauce chicken is one of the most common and down to earth Cantonese dishes. It is one of the main “siu mei” dishes, which are essentially barbecued/roasted meats that use different sauces. You can can typically find “siu mei” easily at any authentic Cantonese Chinese restaurant. They are usually simply hung out in front of the store behind windows in an open kitchen. Once you order it, the chef will simply chop it up for you into bit sized pieces. Besides soy sauce chicken, other typical “siu mei” dishes include barbecued pork (cha siu and siu yuk), roasted duck, and marinated cuttlefish. Soy sauce chicken is one of the easier dishes to make at home. The total cook time for this 2 lb Cornish hen is about 20-25 minutes without covering the lid over high heat. 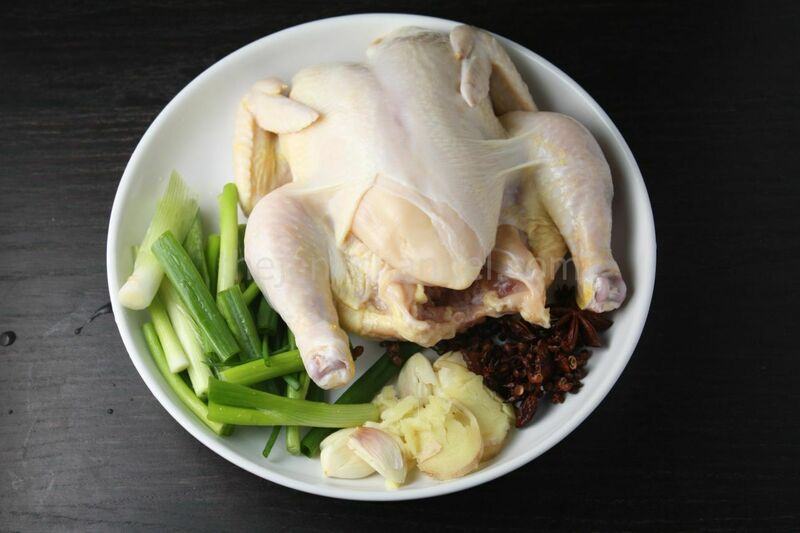 If a larger chicken is used, the lid should be over and cook over low heat for a longer time to ensure that the inside of the chicken is cooked through. Soak dried tangerine peel in water until soft. Remove the pith. Shred dried tangerine peel. Heat wok and pour in 1 tablespoon oil. Add ginger, garlic, scallions, Sichuan pepper, star anise, and dried tangerine peel, cook until fragrant. Add dark soy sauce, soy sauce and rock sugar, cook until the sugar dissolves. Bring the sauce to boil and add chicken. Use a spoon to scoop the sauce at the bottom of the wok and pour it on top and inside of the chicken. Continue to cook for 5 minutes, then flip the chicken over. Repeat the procedure for 2-3 times until both sides are nicely browned with the sauce. Add cooking wine and cook for a few more minutes before serving. Let the chicken sit for 15 minutes or until cool before chopping into bite sized pieces.